Canadians, with cold temperatures almost all year, like destination "Caribbean" during their vacation. Within this, Cuba, for many years has been more than sun and sand. But ... is Cuba only sun and beach? Nope. According to The Star, one of the largest circulation newspapers in Canada, "in this 2016 Canadians have a propensity to spend their holidays in all inclusive hotels in the Caribbean." Cuba as a tourist destination provides, in addition to its beaches and excellent temperature all year, several sites of interest which, according to the publication, Canadians should know. There is no city in Cuba more picturesque than this. The colorful city, "frozen in time" right in the center of the island, is impressive. It is also one of the best places in Cuba if the intention of the traveler is to have close contact with its people. There is much to see and do, so, from horse riding to shopping, to climb the towers of the cathedral, incredible views of the city and the surrounding hills, as well as making "mountain tourism." How could a traveler visiting Cuba without going to Havana? This city is one of the most interesting places on Earth. Sometimes, visitors may feel as if they have traveled back in time and landed 60 years in the past. On the streets of Havana, a mixture of old Russian Ladas and classic American cars very well kept circulate between streets where colonial architecture is more than impressive. People are also a constant source of beauty. Havana seems to always have a smile and dances to the rhythm of music. In the westernmost part of the island, Viñales has an impressive limestone karst mountain, and this offers the most beautiful scenery in Cuba. Moreover, there are plenty of activities and attractions in the city to keep visitors entertained. Travel between underground caves, bird watching, and visits to tobacco plantations are other wonders of the place. When thinking about the natural side of Cuba, visitors can think of beaches and mountain scenery. What they do not realize is that there is a place like Las Terrazas. This eco resort is one of the first protected areas of Cuba. A poor village, which residents decided to preserve and restore to attract tourists. Now, lakes, waterfalls and virgin forests attract visitors from around the world, and the prosperity of the city is growing. 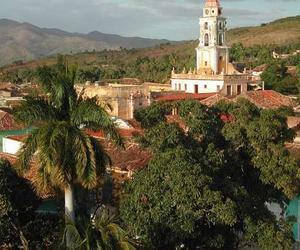 This city was, 200 years ago, the cradle of the best of Cuban culture. Urbanely disorganized, still it has houses and indelible mark of what was once a fertile villa. It was favorite place of fighting, looting, but its people are friendly and quiet.